If you know me, you will not be surprised to learn that reading Sarah McMurchie’s post about the experiential learning cycle and its applications in sexuality education led me to consider the theory underlying the ELC. I’d like to delve into that theory a bit here. The popularity of the modern experiential learning movement is largely credited to the work of David Kolb, whose model was adapted from Dewey, Lewin, and Piaget. According to Knowles, Holton, & Swanson (2012), “For Kolb, learning is not so much the acquisition or transmission of content as the interaction between content and experience, whereby each transforms the other” (p. 195). 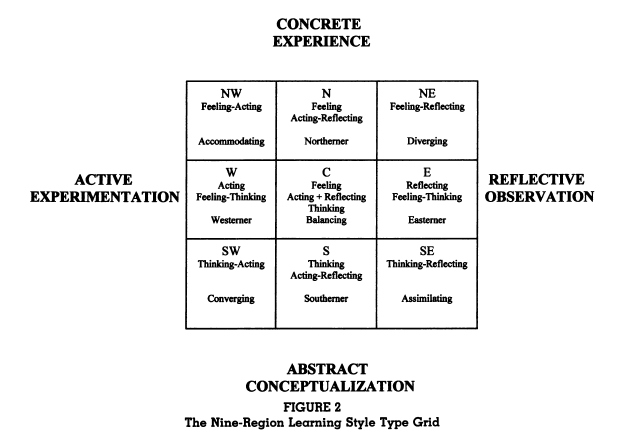 In Kolb’s (2005) model, Concrete Experience (CE) and Abstract Conceptualization (AC) are dialectically related modes of grasping experience while Reflective Observation (RO) and Active Experimentation (AE) are dialectically related modes of transforming experience. Learning is a process. Educators should focus on engaging students in the process of learning, giving feedback along the way. The process and the goal are indivisible. All learning is relearning. Students should be encouraged to subject their ideas to examination and testing in order to create new ideas. Learning requires conflict between modes of thinking and the flexibility to move back and forth between these opposing modes. Learning is holistic. It involves not just thinking but also feeling, reflecting, and acting. Learning is an interaction between the person and the environment. Learners must “assimilat[e] new experiences into existing concepts and accommodat[e] existing concepts to new experience” (Kolb & Kolb, 2015, p. 194). Learning is a process of creating knowledge. 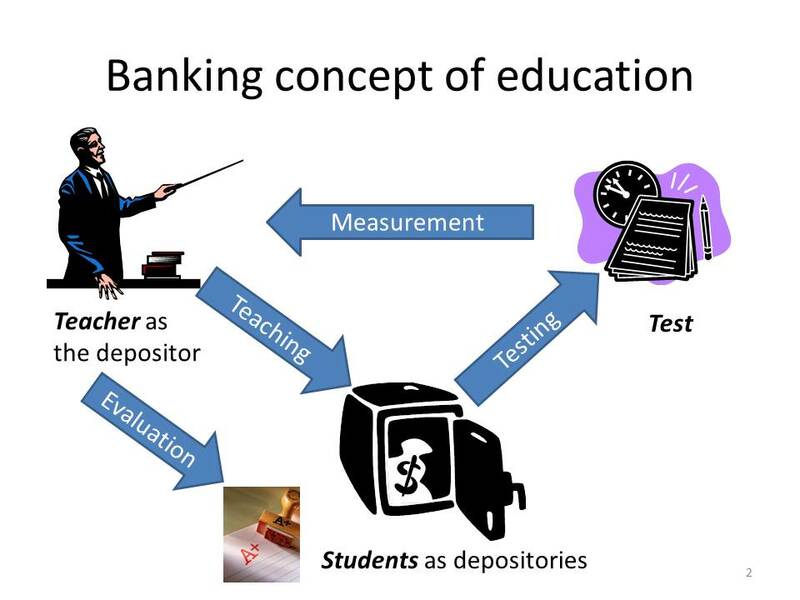 This is the opposite of the traditional way of looking at teaching as what P. Freire (1998) calls banking, or the transmission of knowledge from teacher to learner. Since its introduction, experiential learning theory has been expanded and applied more widely. 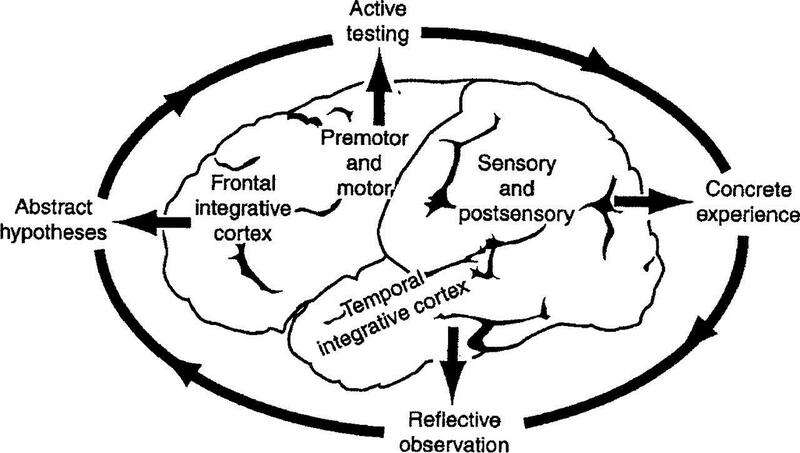 Kolb & Kolb (2005) introduced research by biologist James Zull that suggested the experiential learning cycle is closely linked to structures in the human brain. Furthermore, the experiential learning model is not just a blueprint for creating individual activities or lessons. As students learn from one journey through the ELC, they use that learning as a basis for increasingly more complex learning cycles, forming an experiential learning spiral. Finally, we might conceptualize both the experiential learning cycle/spiral and experiential learning in general as subcategories of experiential education. Experiential education is a holistic educational philosophy that incorporates more than experiential learning. It considers three types of transactions—between learner and other learners, between learner and teacher, and between learner and environment—and considers educational content, process, and context as equally important (Itin, 1999). What are our goals viz a viz our students’ relationships with other learners, with us, and (perhaps most importantly) with the larger social environment? What are our students’ learning styles and how can we best implement the ELC in light of these styles? What are the implications of the theory that our neurobiology is built for experiential learning? How might we best facilitate the process of conflict necessary for experiential learning? How might we design our experiential learning activities in ways that build on one another in order to guide students through a longer-term experiential learning spiral? Freire, P. (1998). Pedagogy of freedom: Ethics, democracy, and civic courage. Oxford, England: Rowman & Littlefield Publishers, Inc.
Knowles, M., Holton, E., & Swanson, R. (2012). The adult learner (7th ed.). New York, NY: Routledge. Experiential education is when learners actively engage in activities or experiences. Students learn better when they are actively engaged in the learning process. Experiential education is a philosophy of education that describes the process that occurs between a teacher and student that infuses direct experience with the learning environment and content. The term is not interchangeable with experiential learning; however experiential learning is a sub-field and operates under the methodologies of experiential education. 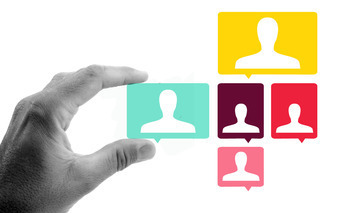 Experimental career education thus plays crucial role in students life. Mr Chris Salamone formerly served as a faculty member at Loyola University Chicago School of Law and the National Institute of Trial Advocacy, and served as a leadership curriculum adviser at The University of Central Oklahoma. Chris Salamone https://about.me/chrissalamone works to improve the lives of young people around the world through his many philanthropic endeavors. To this end, he functions as chairman of the Lead America Foundation whose Mission is to ‘inspire and empower our young people to achieve their full potential and instill in them a sense of purpose, integrity, self confidence, and personal responsibility.’ This is achieved through engaging students (high school for most programs and middle school for a few) in conferences that combine challenging academics with hands-on experiential learning. He has also extended considerable amount of financial support to fund the education of 300 children in Haiti.